You like to control a city? You want to be the master in transportation? 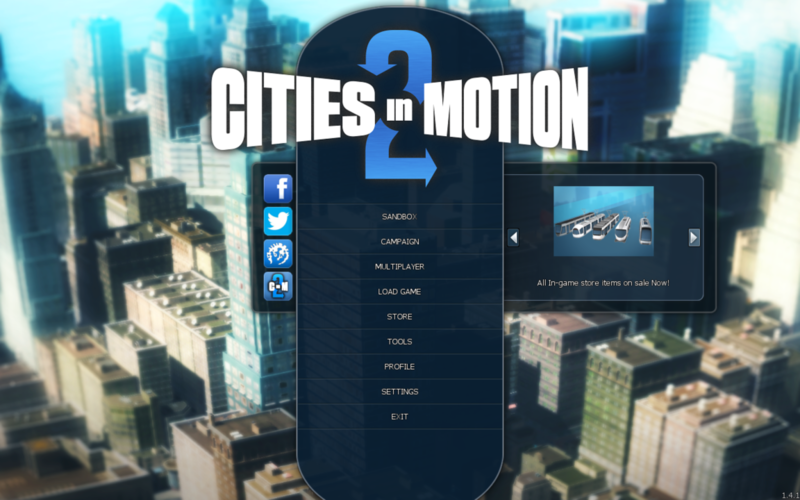 Paradox Interactive have released Cities In Motion 2 and Distrita reviews this game for you. Have you ever played Transport Tycoon Deluxe? A similar game, which lets you build trains, busses and trucks to transport passengers, oil, coal and farm things. Well, Cities In Motion 2 is a bit alike that game, just that this game focuses only on the public transportation. 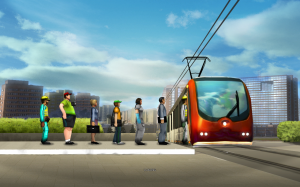 In Cities In Motion 2, you take control of metro, tram, trolley and busses. Your task is to make different routes and give these timetables. You buy different vehicles and the game begins. 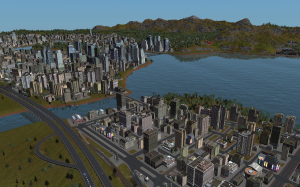 As in Transport Tycoon Deluxe, you can build rail tracks, tram tracks, trolley tracks and roads. This game is for you which really likes building and connecting type of game. I used Steam. A gaming portal from Valve. You can easy make an account there and then buy this game. The price is low. Installing it on OSX is easy. Once downloaded, just move it to Applications or anywhere else where you have your apps stored. Starting the game is easy. Just click on its icon. After few seconds, you have to enter Steam id and password. Then the game start, and here is a little note for Valve. If you are on-line, you cannot play the game in off-line mode. I have to unplug my internet connection to be able to do so. Also, when I have wifi on but no Internet connection is found and want to start the game, I cannot enter the game. I need to be totally connected or totally disconnected to be able to play the game. A great thing which Paradox have fixed, is that you now can multitask. Before there was a bug which prevented you to be able to go back to OSX while playing. Good its fixed. When the game have started, its quite fast. Then its up to you to choose sandbox, story mode or multiplayer. I like to play the story mode part, as it gives some progression in the game. It is interesting to build something towars a goal. After the load screen, the game itself starts. Now you build depots, tracks and roads. Then build where the different lines should go and you might get hooked. I have. I love these sort of games, and especially I like is that you have such freedom to build where you want. Even in the story mode. A little nice thing in this game is that it must be one of the first games, to actually have trolley. I’ve never seen a game, where you can build trolley busses. That is so awesome. Trolly is busses with overhead power-wires. They take less space than trams, because they can drive on the road. Good option to have. Also another neat thing in this game, is that you have access to roads with bus lanes, so the buss routes can be built so they’re not stuck in traffic jams. Cities In Motion 2 got lots of types of building options for all types of transportations, with some minor flaws. Metro can run over streets, on bridges and underground. Trams can run on tram tracks on streets, but can also use Metro rails. Trams can also run on pedestrian roads without no traffic. But trams cannot stop on Metro stations and if there is a longer tram section, Metro wont run on tram tracks. Only on crossing the street. In many countries you have trams and metros sharing tracks and same stations. Like in Brussels (Belgium) or in Essen (Germany). I like the graphics. They aren’t the best and not the worst. I play this game, because its fun and not only because of the graphics. I play lots of games and must say that for the price I’ve paid for the game. 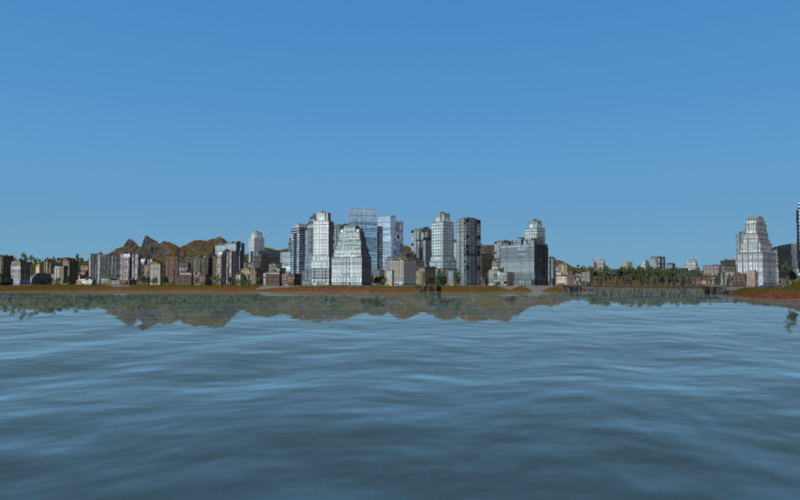 Cities In Motion 2 got great graphics. Nice sound effect. Music is getting a bit repetitive after a while. I just play something else while playing, but keep the sound effects on. The frame rate is good. You can zoom in and out without problems on a MacBook Pro Retina. The game can feel a bit jerky if you have lots of things going on at the same time. On my iMac i7, the game crawls in highest resolution. I had to put the settings a bit down. Once you have settle the settings for graphics, and the game plays well. You will be playing with good frame rate. Just play a little with it, if the game got low frames. Once you start to play this game, you will never leave if you are interested in such transportation games. But if you want action or something more. I think some might get dissapointed. This game is for those which remembers Transport Tycoon Deluxe. This game is for people interested in public transportation and how this works. I could write several pages about this game, but I want you to try it out if you like Transport Tycoon Deluxe type of games. It is amazing for the price you pay. It is a game for Mac that deserves more love from Paradox Interactive. The game got some glitches here and there. The game isn’t perfect, but it is very playable. There are things that you will be irritated over, and there are things you will love about this game. All in all, you will be positive to see such product be here as a small competitor to Sim City 5. This product is more free, and it does have lots of people in the streets. But it lacks the building of house, industrial and commercial zones. 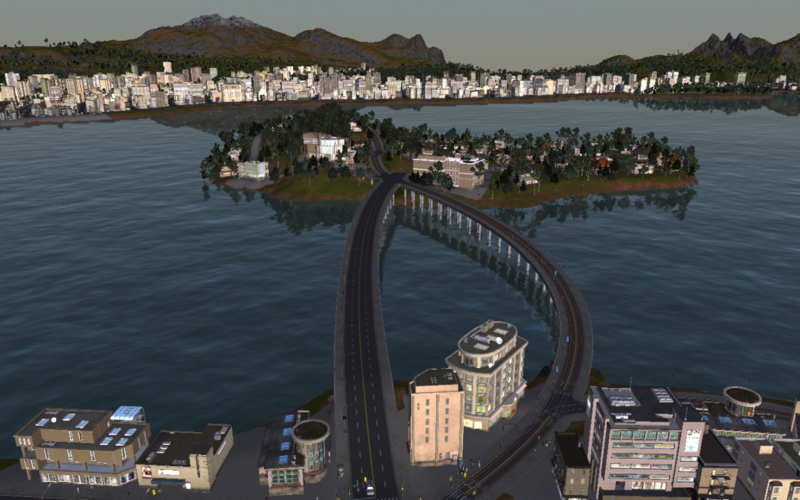 In Cities In Motion 2, the city only gets bigger if you build certain types of roads. If you want to build highways, nothing will be built. You need to build roads with pavement-roads to make the city grow. Cities In Motion 2 is a game that is worth every penny for its price. The flaws is really not a stopper. Paradox is improving the game all the time. That is dedication and that is something which Distrita agrees on is very respectful for gamers which have bought the game. Kudos for Paradox. Great work. Distrita gives this game an overal score of Distrita Cool Game Reward! 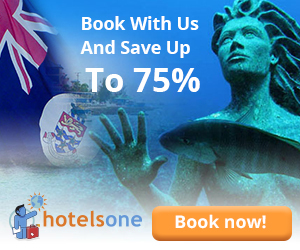 Did you know this about Liechtenstein and Olympics?